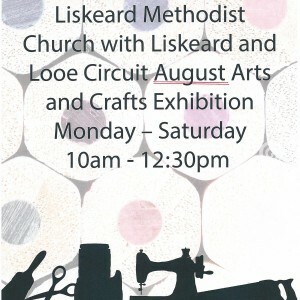 Liskeard Methodist Church and Looe Circuit are having an Arts and Crafts exhibition throughout August at Liskeard Methodist Church. Open Monday to Saturday from 10am-12.30pm. Manna Coffee Shop will be open next door for refreshments.